London Broil - Top round steak, seasoned with dry mustard, salt, pepper, and rubbed with butter, pan fried to brown, then finished in the oven if necessary with thicker cuts. “London Broil” used to be a way of describing a method for cooking lean beef cuts such as flank or top round, which originally was to pan-fry it quickly on medium-high to high heat, cook it only to medium rare, and then slice it thinly on the diagonal. The term London Broil has since evolved to a method of marinating, and then either grilling or broiling the steak. Furthermore, butchers now sell a cut of beef that is called a London Broil which is typically a couple inches thick and is top round. My mother has a method for pan-frying her steak which she calls London Broil, which does not involve marinating. The steaks we use are usually an inch thick. Her secret? I know. I don’t usually recommend searing anything with butter. If you’re not careful, the butter will burn. But if you rub softened butter into well-seasoned steaks, and sear the steaks on a cast iron pan heated on medium high heat, just until you get a good sear and no longer, the flavor really is amazing. Do you have a favorite way to prepare London Broil? Tell us about it in the comments. We recommend using a well-seasoned cast-iron frying pan for this recipe, which can take high heat and are relatively stick-free. 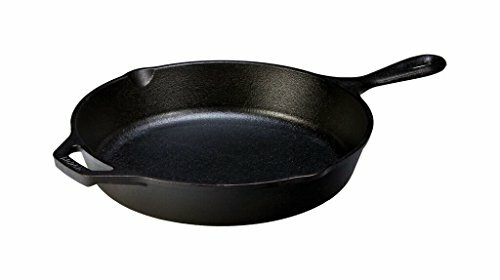 If you do not have a cast iron pan, you can use a thick-bottomed frying pan. If using stainless steel, heat a little canola oil or olive oil in the pan first, before adding the steak. Cut away any tough connective tissue on the surface of the steak. Use a meat pounder to even out the thickness of the steak if necessary. Lightly sprinkle with kosher salt on both sides. 2 Rub steak with dry mustard, salt, pepper, butter: Heat a large, cast iron skillet to medium high heat. Pat the steaks dry with paper towels. Rub a little dry mustard into both sides of the steak. Sprinkle both sides again with salt, and with a little black pepper. Rub butter over both sides of the steak. 3 Brown steak on both sides on stovetop: Place the steak in the hot pan. Let cook for 2-3 minutes on each side (without moving), check before flipping to make sure it has nicely browned. 4 Finish steak on stovetop or in oven, depending on thickness: At this point, if you have a steak only an inch thick or less, you can take the skillet off the heat and just let the steak sit for several minutes in the skillet (tent the steak with aluminum foil). The cast iron pan will retain enough heat to cook the steak to medium rare. You can use a finger pressure method to test for doneness. You can also test for doneness by using a small sharp knife and cutting into the center to check the color. Or, if the steak is brown on both sides and it is weeping red juice, it's done. If you have a steak thicker than an inch-thick, you can finish it off in the oven, at 350°F for 10 to 15 minutes or so. 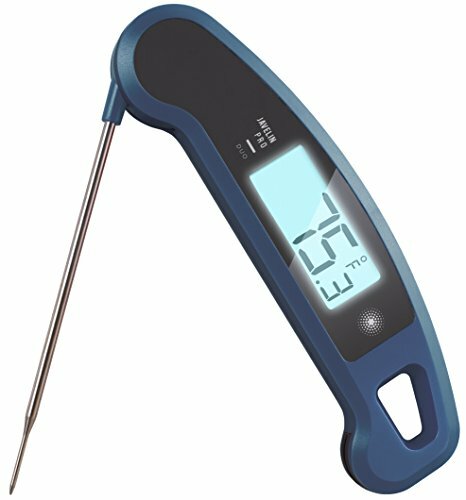 Use a meat thermometer to test the internal temperature of the steak. Pull it out of the oven at 130°F for medium rare (the steak will continue to rise in temperature for a few minutes after you pull it out). If you are using the oven method, when done, remove from the oven and let sit for 5 minutes before cutting into it. You want to cook the steak only to medium rare, as cooking it further will make it more tough. 5 Slice the steak thinly, across the grain. Hello! All photos and content are copyright protected. Please do not use our photos without prior written permission. If you wish to republish this recipe, please rewrite the recipe in your own unique words and link back to Pan-Fried London Broil Steak on Simply Recipes. Thank you! It was so easy and it was fabulous! Hands down the best London Broil I have ever made. I pan fried to brown and finished oven. The beef was tender and flavorful. Now I have to figure out how to use the leftovers. Usually the leftovers would end up as dog food…not this time! Loved it. So glad I found this recipe. I made this exactly. It was the best I’ve had in awhile and so simple. My fiance loved it. He even complimented how gorgeous it looked. I’m so glad you liked it Lyndsey! Your welcome. My thanks to your Mom. What if you don’t like medium rare? Cook it less long if you would like rare, and longer if you would like medium to well. Marinade in homemade red wine vinigar and olive oil with souces over night. Dried off, coated in soft butter added spices. In a hot iron skillet in over at 500 degrees 3 minutes each side. Set the smoke detectors off but a great steak. Enjoyed making this as recipe stated exactly. Turned out very good. I will be sure to sear the sides next time. I love making it this way! The only change I make is I use a homemade herb butter. Soo darn good . Quick and easy too. I also take the leftovers and use them on top of salad for a complete meal for lunches. This is a simple and easy recipe to follow! My London Broil steak was a hit! I opted for garlic instead of dry mustard and it turned out great! Thanks! Just wanted to stop on by and thank you graciously for sharing this recipe! I did exactly what the recipe stated and it came out divine! So happy because sometimes this cut of meat is half off and I can get a huge chunk of meat for next to nothing. So thank you!! Great way to cook this steak. Came out perfect and tender. My steak was about 2 inches thick. After searing, I cooked in oven for a good 10 minutes. I like this method for cooking steaks better than grilling. Made this tonight. It turned out to be the best London Broil I’ve ever had! Pan fried is the way to go for this type of meat. Pan seared both sides of the 3 lb. cut I had and finished it off in the oven being very careful to not go past 130 -135 internal temp and let it rest. Perfect medium rare. Tried it once & today will be my umpteenth time making it on cast iron grill. This IS delicious! I turn it several times after initial searing to get it just right for our taste. I’d get it 5 stars because of the taste but cooking this in a hot cast iron pan produced so much smoke my vent couldn’t handle it and my alarms went off and we then got to meet our local fire and police department. Lol. Sony the time we sat down to eat my steak had rested far to long and my perfect med rare steak was medium. Thank goodness it was still tender enough to eat. So next time I am cooking with my cast iron pan on my BBQ. So smoke won’t be a problem. Lol. Well Elise, Looks like I’m gonna follow your cooking method! I have a nice Angus Harris Ranch London Broil sitting on the counter now. It has been marinating for 3 days because I was afraid to ruin it in the broiler (like all the rest). I CAN’T WAIT TO TASTE IT! Thank you so much for this terrific recipe. I’ve made it many, many times & after last night’s meal I thought to myself, you know, she might appreciate it if I left a review about how much I love this method! My husband & I love our slab of commissary-labeled London Broil no other way. All I do is add garlic & onion powder to the salt/pepper/mustard mix, & I always add dill to steak, as it gives the meat a little extra something special. For an inch thick steak, I do 3 minutes a side on my stove’s level 8, then 5 minutes rest, untented & away from the hot burner but still in the pan. This yields perfect, tender, reddish medium rare. Your recipe instructions & photo layout are clear & easy to follow, & I appreciate that! I had just bought a “London Broil.” I searched and found your recipe. May I say your mother was a genius coming up with this. So simple, yet it totally accentuated the taste and texture of the meat. Thanks to you both! I will definitely make again. This recipe looks amazing. I’m planning to make this for Christmas Day. We’ll have 16 guests for dinner; could I make it ahead of time? Sear, then reheat later? Or should I cook and serve right away? Hi Debbie, steak is something I think should be cooked when you are ready for it, not ahead.